One of my best friends had a baby recently and she asked me what I think about using coconut oil for your baby. She was surprised to see how many baby products actually contain harmful chemicals and questionable ingredients, when babies need such gentle care. Luckily nowadays more and more parents choose to use natural baby products and coconut oil is a wonderful option. It’s gentle, versatile product that is very suitable for babies. Coconut oil has actually been used for babies throughout history in many non-western countries. It’s not only totally safe to use coconut oil for your baby, this multi-purpose oil has many amazing benefits. It moisturizes and protects your baby’s skin and contains powerful antimicrobial properties. Coconut oil is naturally antibacterial, anti-fungal, antiviral and anti-parasitic which helps keep your baby healthy and clean. Which coconut oil should you use for your baby? Always use a high quality, organic virgin coconut oil for your baby. Cold-pressed or centrifuged are both very good options. These are the purest coconut oils with the highest nutritional value and they don’t contain chemicals. I explain here how to choose the best virgin coconut oil. Although coconut oil is very gentle and suitable for sensitive baby skin, always try it out first to be on the safe side. Test it on a small part of your baby’s skin to see how it reacts. 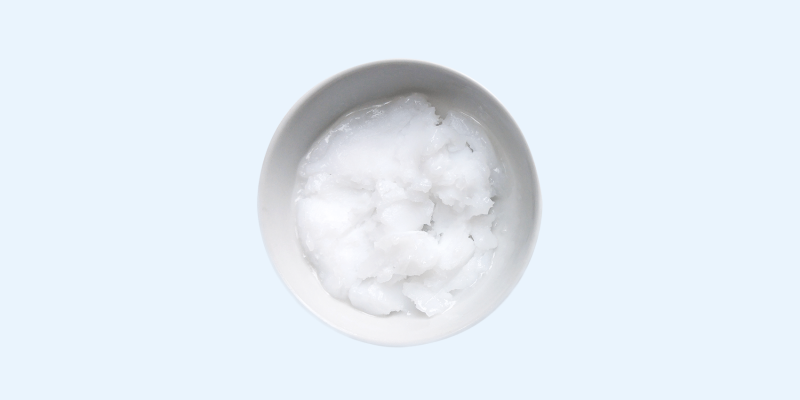 Lauric acid, vitamin E and other antioxidants in coconut oil nourish and protect the skin. Coconut oil absorbs easily and leaves a pleasant, soft layer. → Gently massage it into your baby’s skin after its bath and let it absorb. Breast milk naturally contains the important fatty acid lauric acid. It has strong antimicrobial properties and is essential for a healthy immune system. Coconuts are the biggest natural source of lauric acid in the world. The breast milk of lactating mothers who consume coconut products has been found to contain significantly increased amounts of both lauric and capric acid. 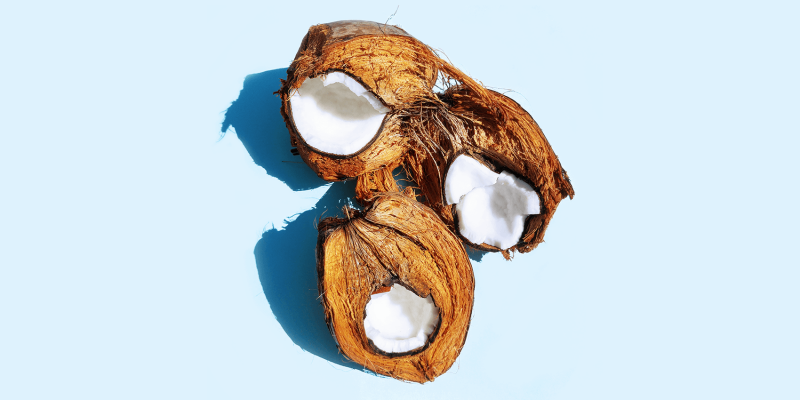 → Add some extra coconut to your diet such as coconut oil, coconut milk or fresh coconut. They are full with health benefits for both you and your baby. Cradle cap or infantile seborrhoeic dermatitis is a very common skin condition for babies. It looks like dry, flaky skin, sort of like dandruff. Sometimes it also come with crusting patches. Cradle cap is often found on and around the baby’s head in their first few months. While it usually clears up on its own and isn’t harmful or contagious, it can be uncomfortable. Using coconut oil for your baby’s cradle cap can ease the symptoms and contribute to healthier skin. → Gently massage some coconut oil into your baby’s scalp or affected area. You can use your fingers or a soft baby brush. Leave the oil on for about 15 minutes, then rinse it with a natural baby shampoo and water. Diaper rash is a very common skin irritation on the baby’s bottom and the area covered by the diaper. As that specific area is more prone to irritation, bacteria, fungi and allergies, it makes the skin there red and sore. Coconut oil’s antibacterial and anti-fungal properties can relieve the symptoms significantly. It calms the baby’s skin and fights off bacteria and yeast. Using coconut oil for your baby’s diaper rash is a much healthier and sustainable natural alternative. You can apply it instead of baby products that contain unnecessary harmful ingredients such as the silicone Dimethicone, mineral oil and Sorbitan Sesquioleate. → Massage some coconut oil into the affected areas after your baby’s bath and in between diaper changes. Let the oil absorb before you put on a diaper. Coconut oil is a great, moisturizing, natural baby hair oil. It keeps it soft, shiny and stimulates hair growth. If your baby has curly hair, you’ll notice that it tends to get dry and tangles easily. Coconut oil makes a great anti-tangle and anti-frizz treatment. → Put a little bit on your baby’s clean hair. You can leave it on until the next wash. Babies have sensitive skin that can easily become dry and chapped. The lip area tends to get dry more easily, which can cause discomfort, especially when you breastfeed your baby. Coconut oil naturally moisturizes and soothes dry skin. It’s a completely safe, edible product so you don’t have to worry if your baby ingests some of it. → Gently apply a bit of coconut oil on and around your baby’s lips. Repeat until you notice improvement. Babies love to be massaged! It helps them relax, stimulates their nervous system and strengthens the emotional bond between them and their parents. → You can use coconut oil by itself for your baby’s massage or mix it with essential oils. Add a few drops of lavender essential oil with relaxing properties and gently massage your baby with it before its bed time. Baby’s first bowel movements are sticky and can be really hard to clean. → Apply some coconut oil to a cotton swab and wipe your baby’s bottom with it. It will come off easily. Commercial baby wash often contains harmful chemical ingredients such as 1,4-Dioxane and Quaternium-15. I don’t want that on my skin, so why would you put it on a sensitive little baby? Coconut oil’s antimicrobial properties keep your baby naturally clean and moisturize its skin. 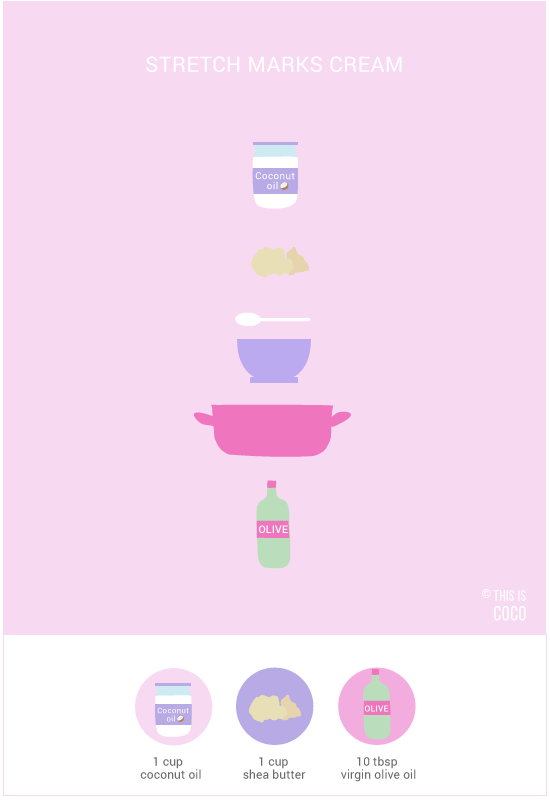 → Mix equal parts of coconut oil, organic castile soap and water. You can also add a few drops of essential oil such as sweet almond oil. This is a gentle, nourishing oil that’s very suitable for your baby’s skin. Once your baby starts eating solid foods, fruit and vegetables become an important part of your baby’s diet. Carrots, leafy greens, mangoes, pumpkin and others contain important fat-soluble nutrients such as vitamins A, D, E and K.
In order to be properly absorbed by the body, these nutrients need to be ingested with some fat. Coconut oil helps with nutrient absorption. → Mix in a tiny amount of organic virgin coconut oil in your baby’s food. It goes with both cold and warm dishes. You can always consult with a medical professional to decide when it’s best to incorporate coconut oil in your baby’s diet. Growing teeth can make your little one go through a period of discomfort and pain. Coconut oil’s anti-inflammatory properties help soothe inflammation which often comes with teething. Its antibacterial properties can help avoid infections. → Gently dab some good quality organic virgin coconut oil on your baby’s gums and repeat until the teething pain symptoms decrease. Just like bigger children and adults, babies too need a dental routine to keep their mouth clean and healthy. Coconut oil’s antimicrobial properties naturally help protect against bacteria and infections. → Apply some coconut oil to a piece of clean clothe and gently wipe your baby’s gums. Once your baby grows his first teeth, you can use a soft baby tooth brush and brush the teeth and gums with a natural baby toothpaste that contains coconut oil. 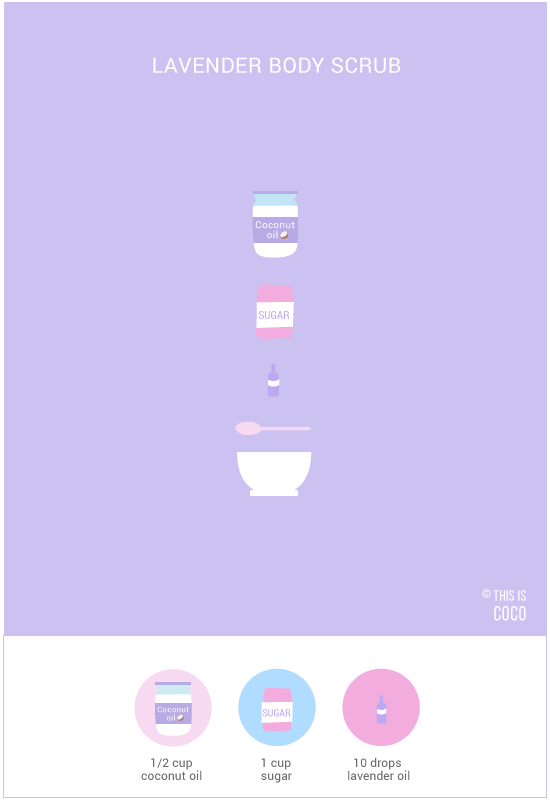 As you can see, there are many good ways to use coconut oil for your baby. But let’s not forget about the mamas! With all the care for your baby and getting used to your new life, it can be challenging to keep up with your own self-care routine. It’s very important though, so try to schedule it in as much as you can and create some time for yourself. 1. Make this simple sugar body scrub to get rid of dead skin and stimulate blood circulation. 2. If you have a bath tub, take a bath infused with coconut oil, essential oils and sea salt. You can also take a nice foot bath with coconut oil and sea salt before your shower to help your body detox and relax. 3. Apply some DIY stretch marks cream with shea butter there where your skin needs it. 4. Ask your partner or loved one to give you a coconut oil massage.